The Samsung Galaxy S10 series appears to have an impressive range of next-generation features incoming. A new tweet from IceUniverse suggests that it will make the 15W fast-charging solution found in older Galaxy flagships "history". This may be a hint that Samsung is preparing a new standard to rival the likes of Huawei's SuperCharge. The Samsung Galaxy S10 line is the subject of numerous leaks and rumors concerning the novel features and specs the OEM may introduce with the series. They include an Infinity-O display, in which the selfie camera peeks through the screen in one corner. In addition, Samsung may also debut 12GB of RAM, ceramic backing and 5G in some variants. 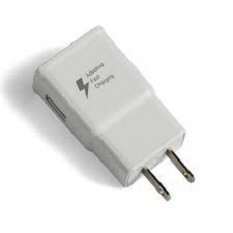 A new tweet from the prolific tipster IceUniverse also suggests that Samsung is also working on super-fast charging for the S10. The actual wording of this tweet is: "Samsung smartphone 15w charging will become history." This could be interpreted as a commentary that other OEMs such as OnePlus and Huawei are leaving Samsung behind in terms of wired charging speeds. With Warp Charge 30 and SuperCharge, which charge at 30 and 40 watts (W) respectively, that is certainly the case. However, when another Twitter user replied asking if what IceUniverse in fact meant was that a new form of fast charging was on the way, the response was "Yes". This is a less ambiguous show of support for the prospect of decreased wired charging speeds for an upcoming Samsung device. It makes sense that this would be the S10. Now, all we need is a hint about the flagship's wireless charging capacity.